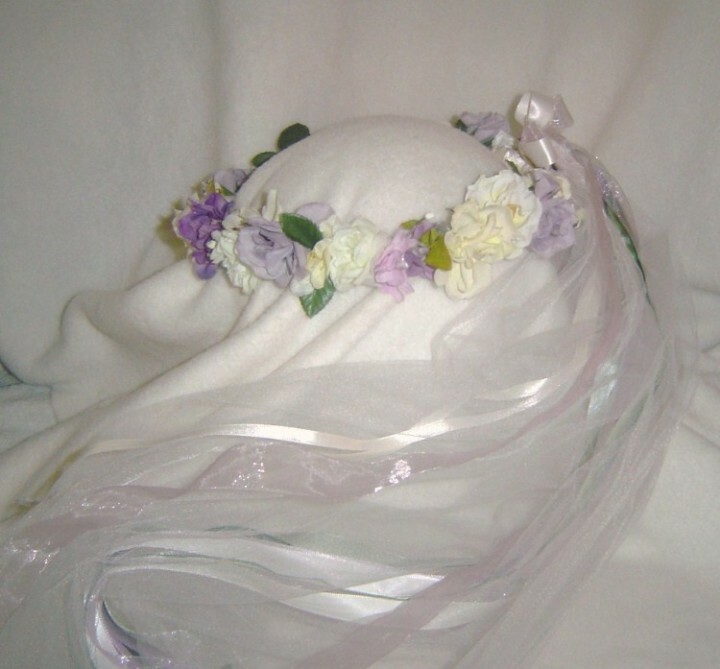 Soft lavender and a mix of white and cream roses and flower blossoms mixed with white baby's breath and leaves in shades of green, make up this very sweet, young style. 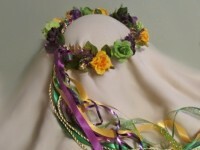 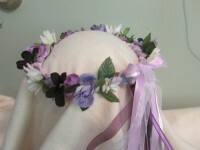 Ribbons of white and very soft light lavender in satin and sheer, are accented with a shaded stem green ribbon. 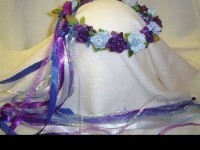 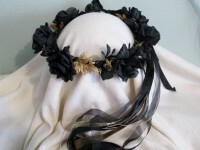 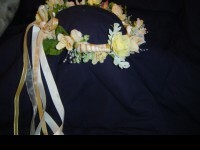 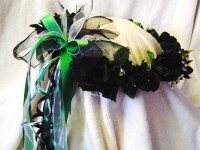 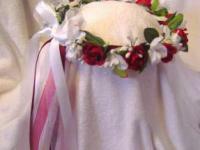 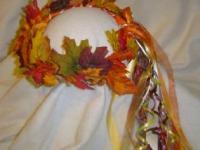 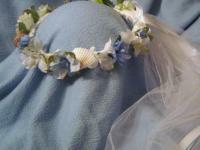 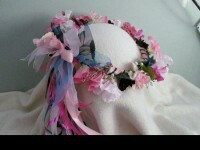 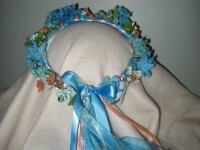 Ribbons are tied in back in a bow with long flowing ribbon tails resting on a white hip length veil in back. 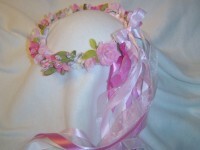 Shipping costs for addresses in the USA is the actual shipping rate based on your address and usually run between $4.95 - 8.00 for one wreath or circlet shipped by USPS Priority mail depending on how far it has to go.